I love to burn candles all year round, I love the look of a burning candle, I love the scent filling the room and how it makes me feel. 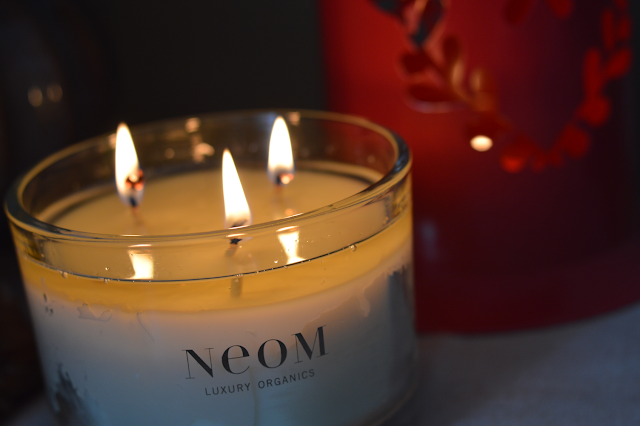 Neom Organic Home Candles are without a doubt the best I've ever tried. 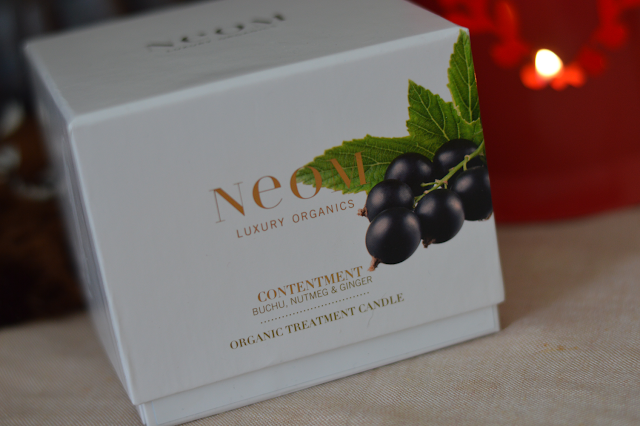 The organic wax means no horrible black soot is left and no harmful toxins are inhaled. The melted wax looks so pretty especially when you see the wicks swaying gently. 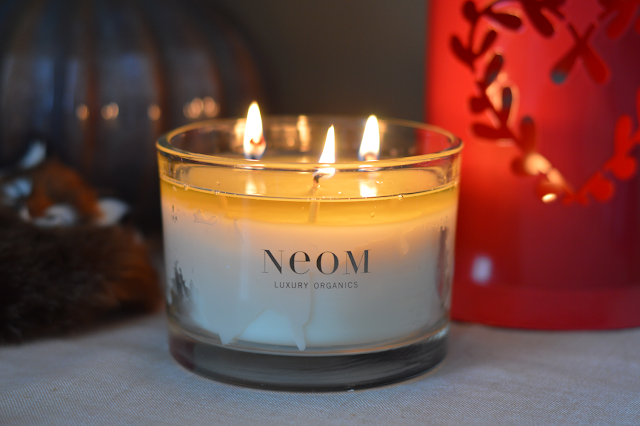 The Neom candles are treatment candles, so whilst they look and smell nice they actually work in another way. 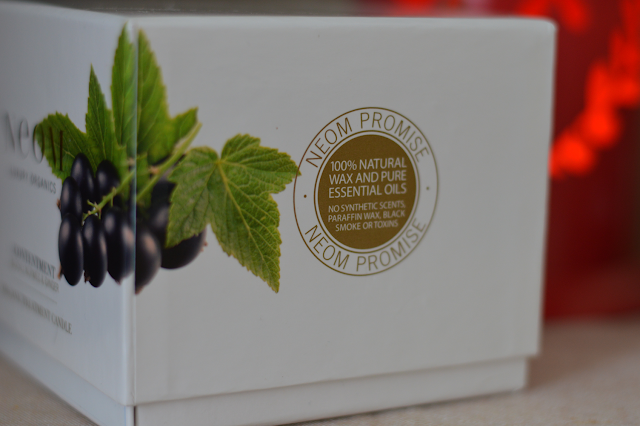 A powerful holistic treatment, when burnt the fragrance is released into the air for you to breathe in and enjoy. The newest fragrance to join the Neom family is Contentment the main trio of ingredients which make up the fragrance is Buchu, Nutmeg and Ginger. A strange trio you may think but it works. The Buchu is very similar to Blackcurrant and works great with the Nutmeg and Ginger. It's unlike any scent or smell I have smelt before but in a good way. I did find the scent grow on me and now I can't get enough of it and burn it daily just so I can get my dose of contentment. A great Springtime fragrance to fill your home with. A moment of contentment, of something that feels familiar and reassuring. A comforting scent to surround yourself with if you're feeling tired, overworked or just overawed. A scent that makes you feel you're home. If you're looking for a Mother's Day gift or a little Springtime treat for yourself, I would recommend THIS!